Wedding cake is good and this one his perfect for those with a sweet tooth. 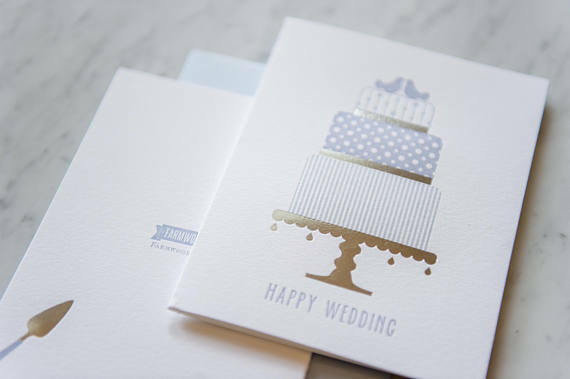 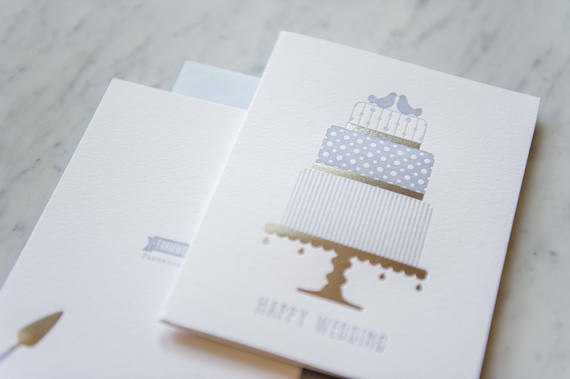 Features silver foil with letterpress. 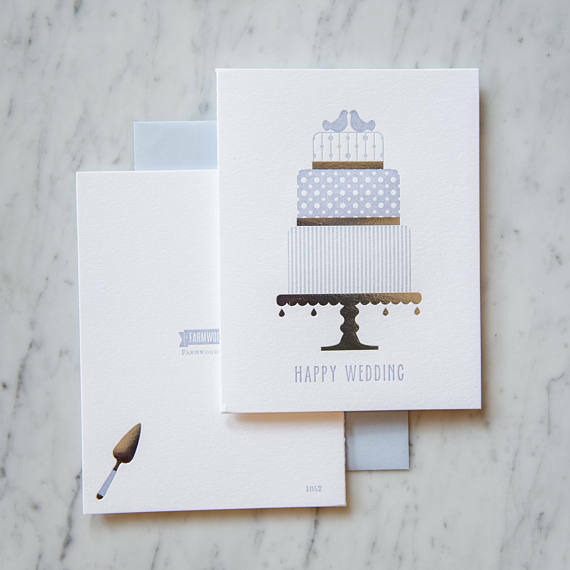 Letterpress printed on cotton paper using environmentally friendly inks.